يحظى فندق A Great Ocean View Motel بمكان متميز في محور طريق المحيط العظيم - خليج أبولو شواطئ, برامج عائلية, سياحة في منطقة خليج أبولو الفاتنة. يمكن من هنا للضيوف الاستمتاع بسهولة الوصول إلى كل ما تقدمه هذه المدينة النابضة بالحياة. يشكل هذا الفندق ملاذاَ مريحاً للاسترخاء ويمنح زواره فرصة للاستجمام والتجدد، وهو يقع على بعد خطوات من المعالم السياحية الكثيرة للمدينة كمثل: Marriner's Lookout. إن الخدمات التي يقدمها A Great Ocean View Motel تضمن للنزلاء إقامة مريحة. تتضمن الميزات الرئيسية في هذا الفندق: واي فاي مجاني في جميع الغرف, خدمة التنظيف يوميًا, تسجيل وصول/خروج سريع, تخزين الأمتعة, واي فاي في المناطق العامة. يمكن للنزلاء الاختيار من ضمن مجموعة من الغرف المصممة بعناية لتعكس جواً من الراحة، والتي يتجاوز عددها 10. سواء كنت من محبي الرياضة أو كنت تتطلع لتفريغ عناء نهار صعب، ستجد خدمات ذات مستوى عالي بانتظارك كمثل حديقة. يحظى فندق A Great Ocean View Motel بموقع ممتاز وخدمات يصعب منافستها. تسجيل الدخول بين 02:00 PM و 08:30 PM. الضيوف الذين سيصلون خارج هذا التوقيت يطلب منهم التواصل مع العقار مباشرة قبل الوصول لترتيب هذا الأمر. Hello, This place was in the most perfect position for us. We loved it. Very close to the fish co-op were we got divine lobsters. The place was clean, beds were comfortable. Would have liked perhaps some place to put our clothes when showering. Otherwise would stay here again. We had stayed in this motel about 18 years ago and had a wonderful experienced. The owner was very graceful and helpful. Well today she had not lost that quality that we appreciated. The room was prepared and knowing that it would be cold, she had turn on the heater. Nice touch. The hotel is located just after the main area in Apollo bay towards port campbell by making a right turn which is why they have a beautiful view of the ocean.The facilities are good though heating system was not working but we didn't complaint as we were there only for a night. The sitting space with the ocean view compensated for everything while u can enjoy a glass of wine.They had all mentioned facilities and staff was very friendly. we would surely book next time we are at Apollo bay. Great place to relax and unwind. Fantastic view of the sea. Definitely want to go back and stay there again No butter knife but a toaster. Had to use back of teaspoon to butter toast. Grateful for insect spray in room. Upon reaching the motel we look for the reservation desk and the guy behind the counter was really friend. The room is just spacious, comfy, cozy and it makes me feel at home. I just wish I could spend a little longer there enjoying the room and the serendipity. Great food are just close by, not as many choices buy just enough. The road opposite the motel goes all the way to to 12 Apostles towards Port Campbell. In summary this accommodation is really a value for money. We stayed on the 2nd level with balcony. Facing seaview. Family room with own parking space. There are 1 bedroom with 2 single beds and another double bed on the main living space. At night , it can get quite chilly at the main space. The other room is more comfortable with the heater on. Overall, very satisfied for the price that we paid. 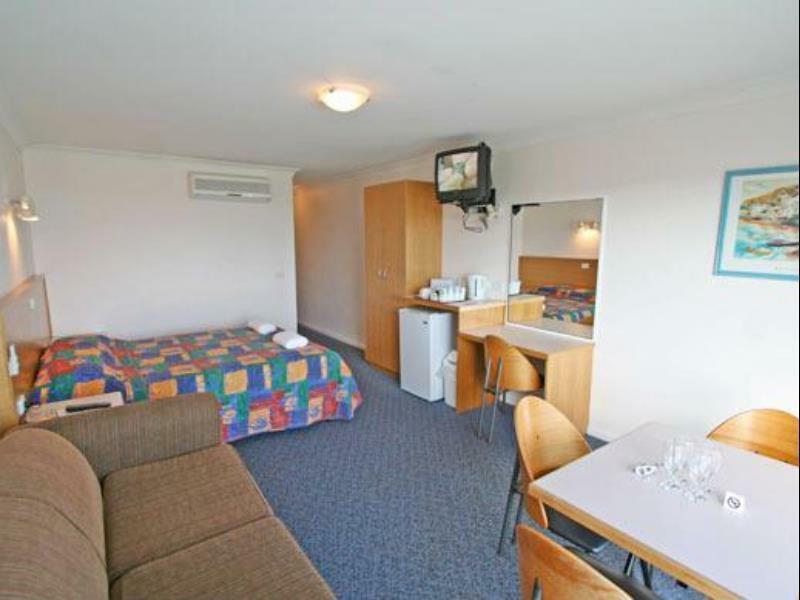 No frills motel, good location away from the centre of town. An excellent pitstop if you are driving along the great ocean road. A great view motel has a great location for someone wanting to be in Apollo Bay and visit the 12 Apostle. Moreover, the rooms faces the sea and has a calming effect. Staff of this motel is friendly and courteous. The room is comfortable, and we enjoyed our tea with complimentary biscuits. We will definitely come again. Great stay. Friendly staff, quiet location with lovely views. Beds were pretty comfortable too. 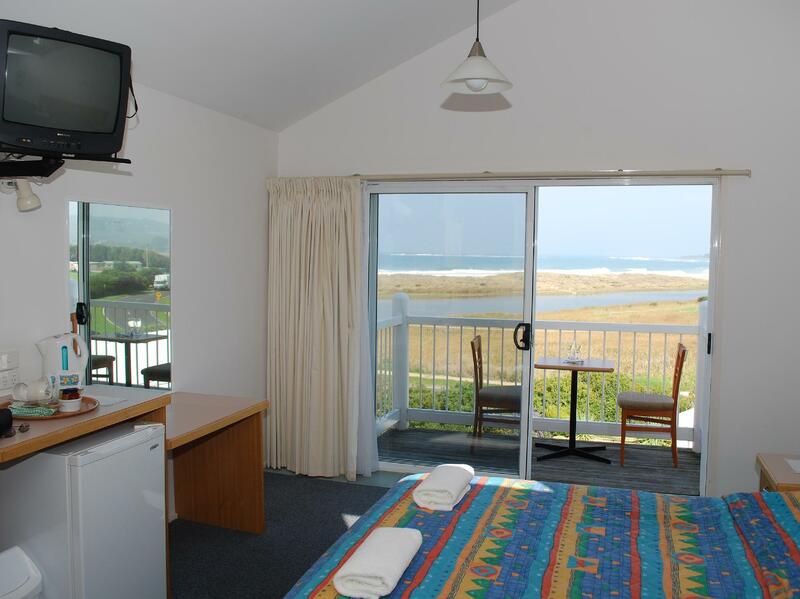 perfect view of the beach and a private etrance to motel. you can park you car just infront of your unit. cafe bars and supermarket is 5mins drive away. convienient. TV did not work well when we sat down for a channel after a night in town, the remote didn't work, otherwise was lovely view of the beach, with sea air, helpful staff, lovely place to relax close by town and the beach. Would stay there again. We had the best time just leisurely driving the Great Ocean Road stopping at Anglesea, Apollo Bay and onto 12 Apostles. Checking into A Great Ocean View Motel completes our wonderful visit. It has parking facilities and wifi in our room. Our room faces the sea and it is lovely just to wake up and watch the ocean. The reception staff were friendly and courteous. Our room facilities like heater, toaster, among others. It is easy to locate as it is facing the main road. We will definitely come again to this wonderful place. 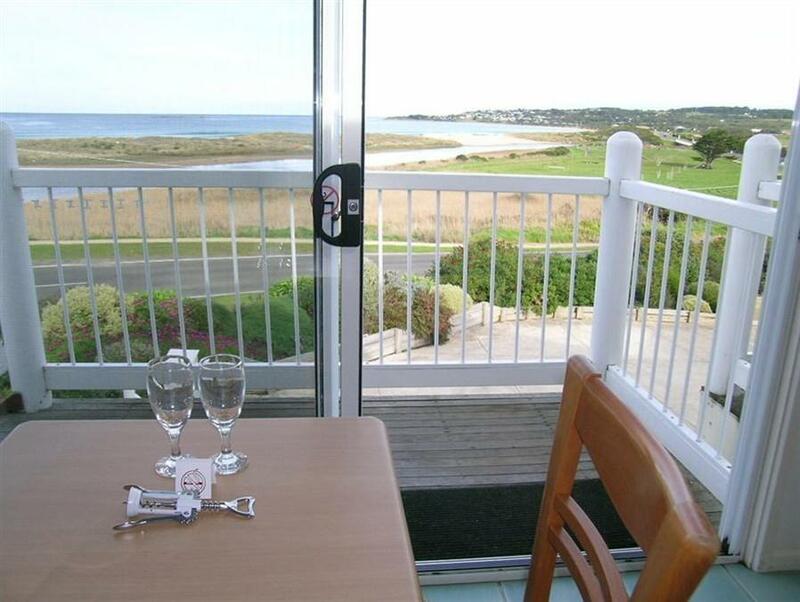 Every room is facing the beach, good view! Location is excellent, about 15 minutes walking distance or 3 minutes drive to Apollo Bay where restaurants are around. Free car park is just in front of your room. Very convenient! The room is spacious but interior looks old, the water tap did not work well, very difficult to open and shut. Very basic amenities including electric blanket are available. Do remember to bring your slippers, toothbrush and toothpaste.